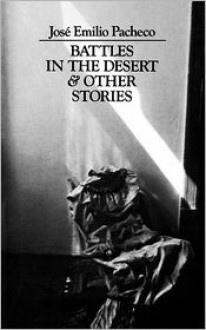 Battles in the Desert & Other Stories, a collection of short fiction that deals mainly with themes of childhood and innocence betrayed, is the first book of Pacheco's fiction to appear in English. here there are no narrative arabesques, no flights of magical-realist fancy. Instead, Pacheco confronts the reader with the uglier sides of urban Mexico - its grime, its beggars, its suffocating pollution, the constricted lives of its lower middle class - all with a simplicity and directness of style impeccably shaped and clearly distilled.